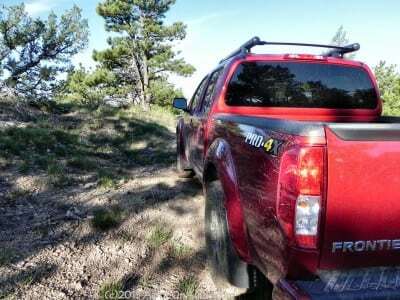 The Nissan Frontier Pro4X is one of the best offroad machines you can buy straight from the factory without spending the premium for a nameplate like Rubicon or Rover. 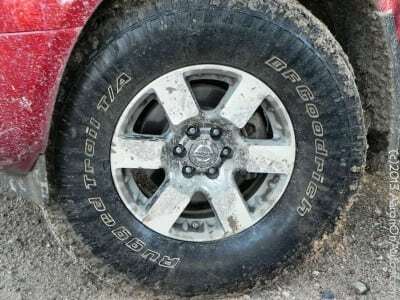 For this reason, it is a favorite and has become the truck of choice for those who love the outdoors, like to go where others cannot get, and think of mud as an accessory. The Pro4X crew cab adds some versatility with respect to how many people you can bring with you, assuming just sitting them in the back on top of sleeping bags isn’t an option. Nissan describes this truck as “Raw power meets offroad athleticism.” This isn’t too far off the mark, especially with the workhorse V-6 this truck offers as an option. 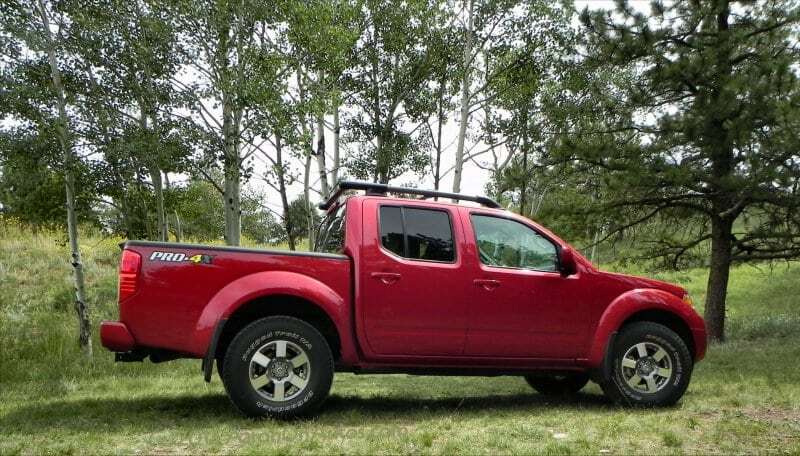 More to the point, though, the Frontier Pro4X itself is one of the few surviving small trucks in the American market and it stays around because it’s popular. That popularity exists for one reason and one reason only: Nissan continually delivers exactly what this segment wants in a truck that looks good bringing it. 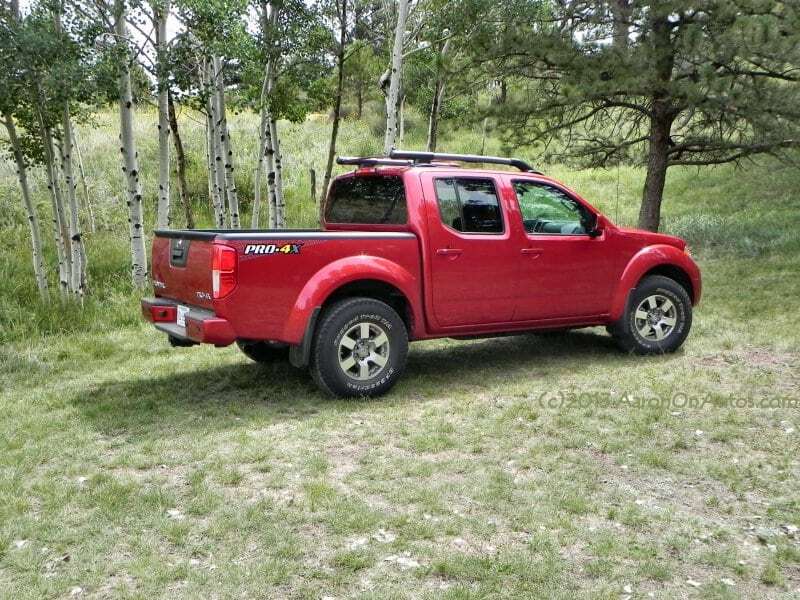 In industry terms, the Nissan Frontier is a little long in the tooth, having not had a redesign or serious design refresh in several years. It’s overdue for one and CarNewsCafe has been told that Nissan has that in the works. The trouble is, it’s unclear what they can do to this truck to improve it. 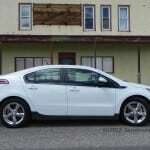 It’s exterior design is rough and tumble and has been very well-received in the market. The interior base and options have kept up with the times, and the two engine options offered are proven, durable powerhouses. The only thing this truck needs is better fuel economy, which probably would not require a full refresh to achieve. Currently, there are full-sized trucks with V6 offerings that are beating the Frontier in highway MPG numbers. 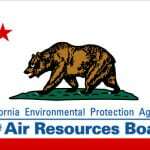 Namely the Ram 1500 V6 and the upcoming Chevrolet Silverado Ecotec. The Ford F-150 EcoBoost matches the smaller Frontier in economy. What all of those lack compared to the Frontier, however, are the serious offroad prowess and massive amounts of fun factor that this little truck brings to the table. It was for this reason that it was an Edmunds.com Top Pick this year. 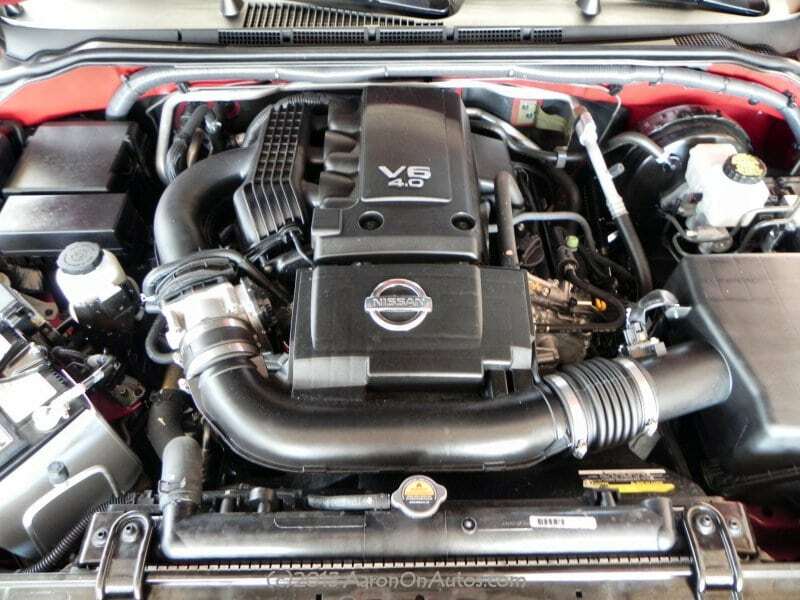 The 2013 Nissan Frontier King Cab S is the base model starting at $17,990 with 152 horsepower from a 2.5-liter, four-cylinder engine and a lot of great package options even at that low price point. Most people opt for the King Cab SV instead, however, which has the same power plant, but offers more amenities for interior comfort. In the V-6 model iterations, fuel economy suffers somewhat, going from 19/23 city/highway to 16/22 MPG, but the engine offers over 100 more ponies and much higher torque to compensate. The 4.0-liter, 24-valve V-6 coupled to its six-speed manual transmission or five-speed automatic delivers 261 horsepower and 281 lb-ft of torque. 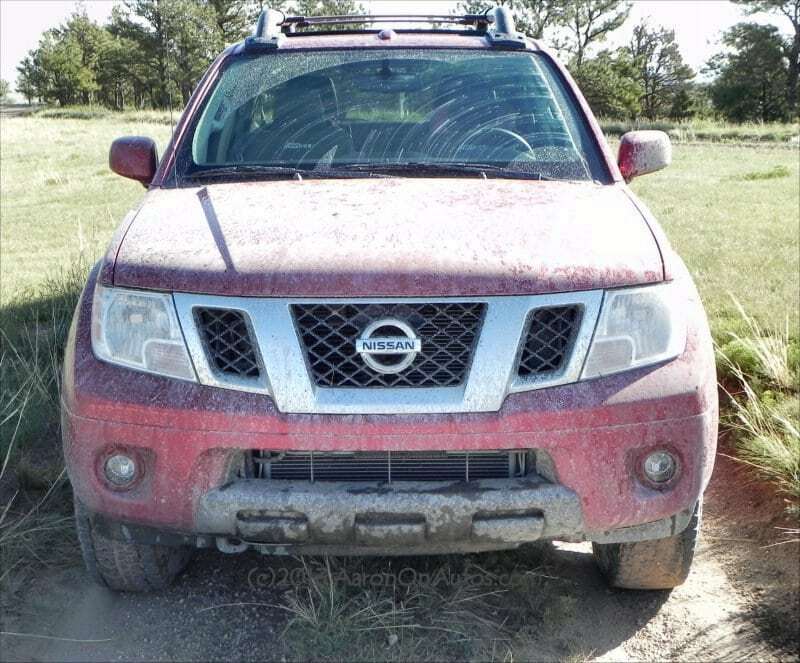 Neither engine will beat race cars on the pavement, but both will get the Frontier into and out of the mud easily. The V-6 VQ40DE is highly recommended for serious offroaders. 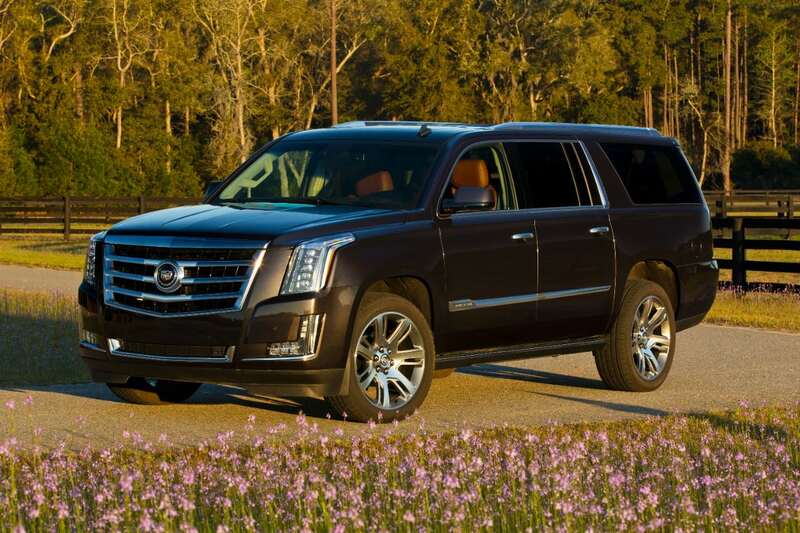 The 4.0L also adds towing as a viable option, with a perfect 6,500 pound capacity. 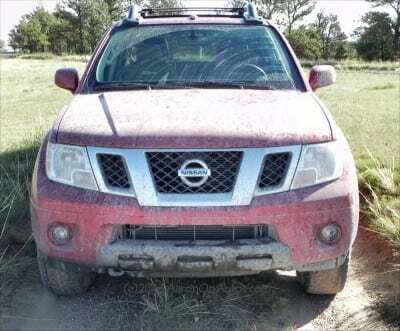 On the road, the 2013 Nissan Frontier Pro4X is comfortable enough for road trips, but clearly wants to be off the pavement. Noise levels are good and can be further dampened with the optional (and very much recommended) Rockford Fosgate sound system. Most of the road noise is from the tires, which are tuned for all-terrain use. The only real complaint is that the Frontier’s seating up front is a bit high, giving the driver a “too tall” feeling, but this seating position has a reason, which we’ll get to in a moment. Seating is otherwise comfortable and well-appointed while interior refinements are simple, durable, and of quality. One thing to note is that if you have kids in car seats in the back, they will have full access to door handles and window controls, so use the locks where necessary. 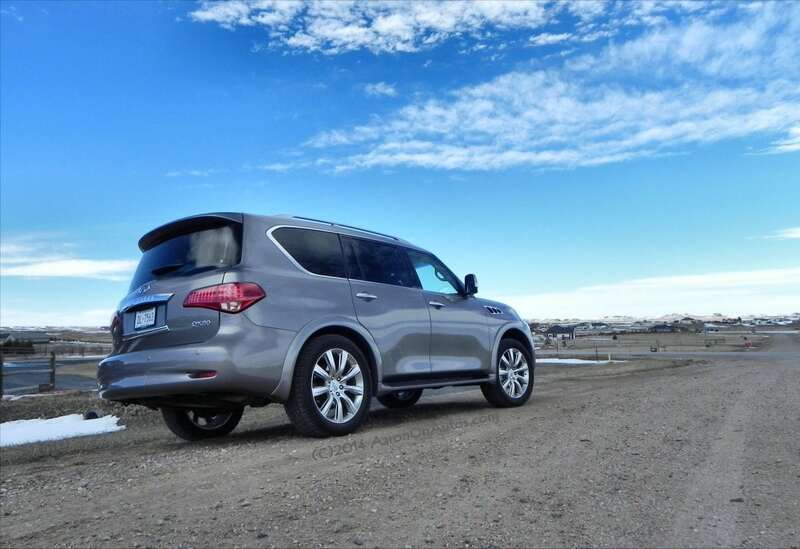 On the highway, the Frontier is a smooth driver, thanks in no small part to its speed-sensitive steering adjustment (standard). Controls for wipers, cruise, sound, and climate are well-positioned and ergonomic for everyday use. Nice touches like coin holders in the center armrest, extra cup holders for the rear passengers, and 12V plugs and nooks/cubbies in strategic places all come together for a good road trip drive, whether that’s to grandma’s house, the lake, or a favorite fishing spot. 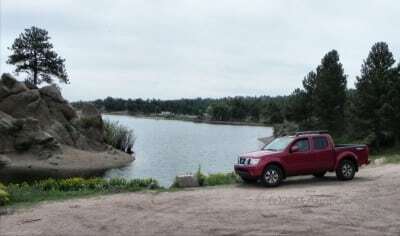 Off the paved roads is where the Nissan Frontier really shines. It can do nearly anything you ask of it, if you are capable of piloting it through. From desert sands to mud bogging to trail climbing, the Frontier can get there. This prowess is thanks to a combination of things. 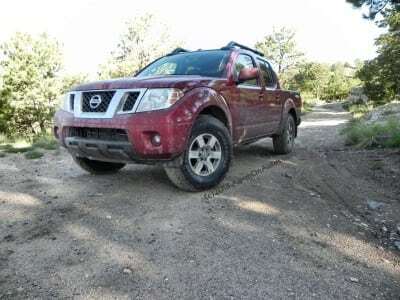 The Frontier has an excellent suspension system for offroad use, is just the right size to avoid many obstacles that might keep some others from making an attempt, and enough power under the hood to push through. The very rugged and capable four-wheel drive system (selectable, on the fly) puts it all together here. Visibility is excellent and the high-spot seating mentioned earlier comes into play here. It allows the driver a better position to keep track of the front wheels as well as a good view through the rear window when backing up. Until you’ve articulated over a questionable ravine point or rockpile, this won’t be fully appreciated. Speaking of that, the Frontier Pro4X combines this technical offroad ability with a prowess and funny bone that will keep you happy to be doing what the truck obviously loves doing. 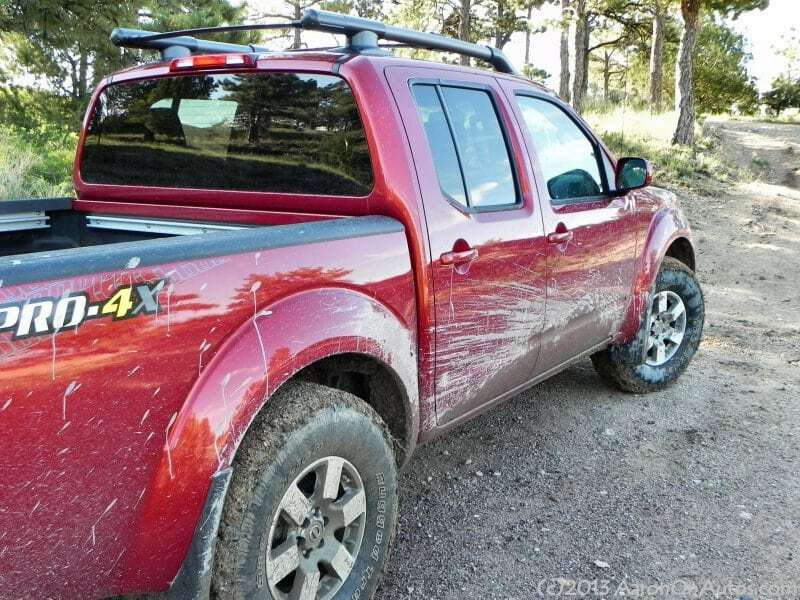 After jetting through mud puddles and bouncing down trails, the Frontier gives no complaint when you slow down to bump down some rocks. The Pro4X package comes standard with everything you need to really go off the beaten path without fear. 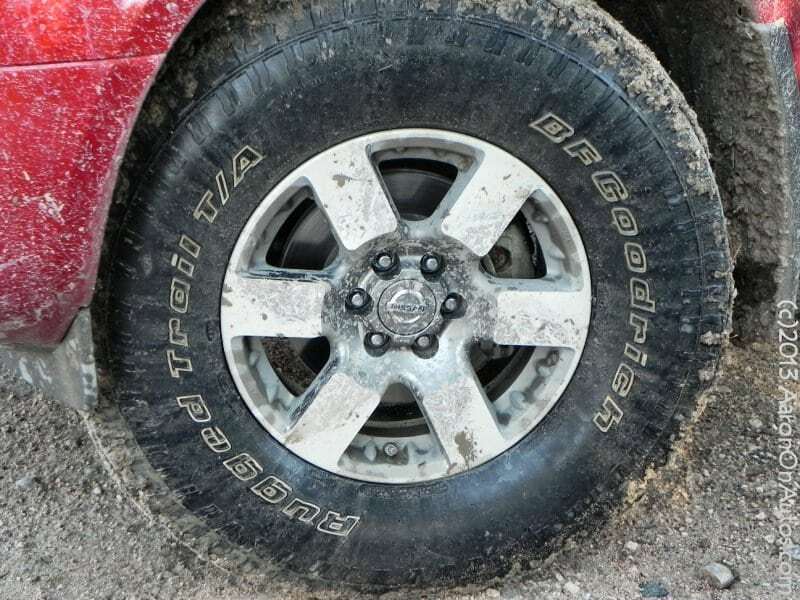 It includes a locking rear differential (driver-controlled), hill slant assist, driver-controlled hill descent control, Bilstein high-pressure offroad shocks, and a full spare. And once you safely get there, there is a first aid kit under the back seat in case your own two-foot offroad machinery isn’t as capable. Key competition for the Nissan Frontier Pro4X is the Chevrolet Colorado and its twin the GMC Canyon as well as the Toyota Tacoma. All have good styling, though the General Motors trucks are basically mini versions of their boxy, full-sized workhorses rather than being individual designs in their own right. Only the Tacoma competes directly with the Frontier on this front. The Frontier’s V-6, however, produces more power and torque than all three of these competitors, clobbering the Toyota by 25 points and walking all over the GM machines by 19. In ride and performance, the GM trucks are inferior because they inherit their larger sibling’s torsion suspension (the Nissan and Toyota use double wishbone), but the Frontier has standard speed-sensitive steering adjustments and four-wheel disc brakes, unlike the others. All of these differences add up and mark the GM vehicles as clear losers in the comparison game and, in our opinion, the Toyota as merely a close second. 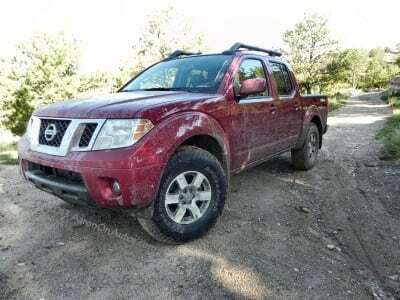 Extreme offroad prowess is the hallmark of the Nissan Frontier Pro4X. Although its competition listed above doesn’t include any slackers, the Frontier Pro4X is really in a league closer to Jeep and Rover in this regard. It’s really, really fun to drive and play in. The 2013 Nissan Frontier Pro4X is basically a party on four wheels, with everything the outdoor enthusiast needs to go out and have fun, no matter where the party might be. 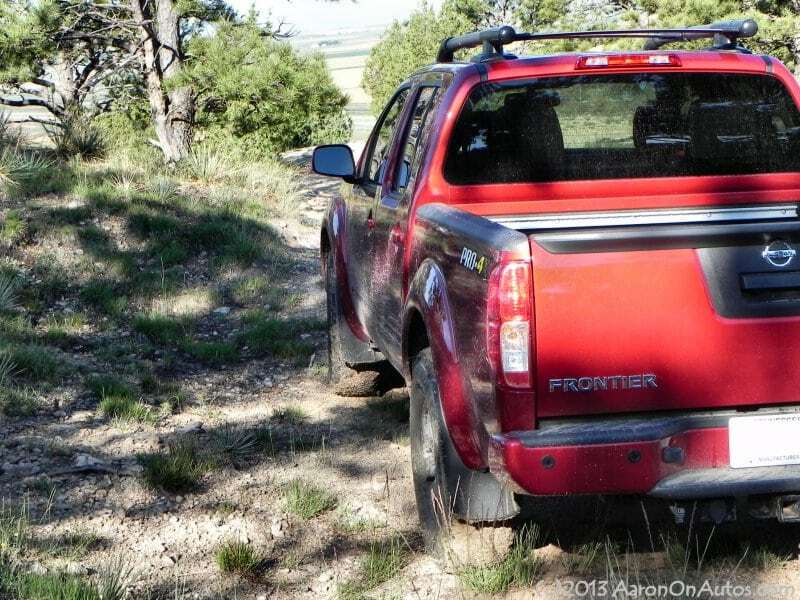 Fuel economy is the chief weakness of the Frontier. 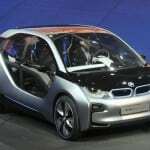 Although it is on par with this segment, it is likely to be outpaced by its competition soon and is already being beaten by larger trucks. However you slice it, the 2013 Nissan Frontier Pro4X is a fun ride. Is it practical as a pickup truck, a people mover, or an everyday driver? No. Is it meant to be those things? No. The Frontier is able to do those things, of course, and does each of them well enough to be versatile and useful, but at its core, the Frontier Pro4X is meant to go off the road and it clearly loves doing so. 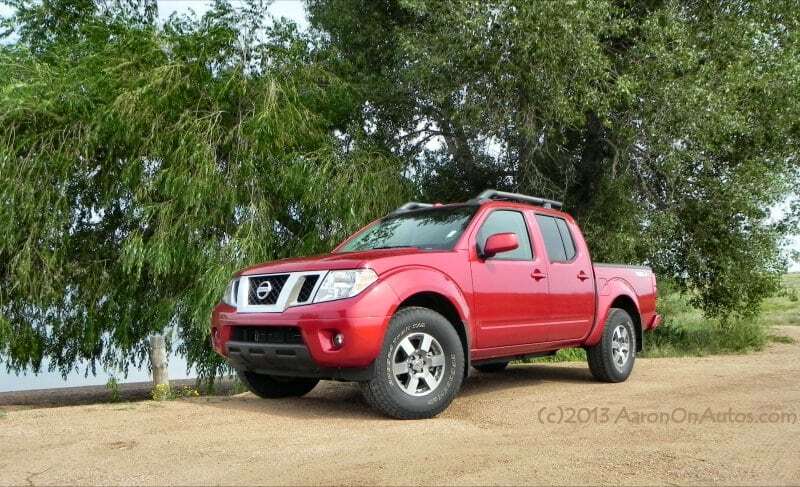 The 2013 Nissan Frontier Pro4X was driven on an eight day loan from the manufacturer. 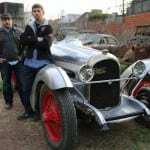 It was driven in Eastern Wyoming on highways, city streets, and off road in various situations. A total of about 212 miles were put on the truck during our test drive.